The AFR Partnership is carefully keeping track of large old “legacy” trees to make sure to preserve and protect them. Removing small trees from around legacy trees reduces fuel, making these large old trees more likely to survive a future wildfire and providing them with additional resources to grow. The focus of effectiveness monitoring is the retention and response of legacy trees, defined as greater than 150 years old and mainly concentrating on those older ponderosa pines, Douglas-fir, black oak, and pacific madrone trees. Legacy hardwoods such as black oak and pacific madrone provide critical wildlife habitat. A great deal is already known about likely strong, positive growth responses from ponderosa pine and Douglas-fir. Less is known about how black oak and pacific madrone trees will respond to mechanical treatments and this knowledge is needed to guide adaptive management. To evaluate the impacts of forest thinning operations on large old trees over time, The Nature Conservancy established a network of monitoring stations throughout the Ashland Watershed. During 2013, staff and volunteers mapped and measured 154 ponderosa pine, Douglas-fir, sugar pine, Pacific madrone, and black oaks. Data is currently being analyzed by SOU students. The Tolmie star tulip (Calochortus tolmiei) thrives in areas with plenty of sun exposure. Herbaceous Understory. The beautiful scarlet fritillary (Fritillaria recurva) also grows well in sunny areas.The lady slipper (Calypso bulbosa) is an example of a shade loving plant. In the absence of fire, coniferous forests of this region quickly monopolize resources and shade out many flowers and grasses. Lady slipper, rattlesnake plantain, and phantom orchid are examples of native species that actually benefit from this shady condition and are currently common in the watershed. Restoration treatments are expected to benefit a host of flower and seed bearing herbaceous plants that historically relied on fire to compete with conifers for light and moisture. Examples include the Siskiyou iris, scarlet fritillary, Oregon grape, shooting stars, California fescue, beargrass, and oak trees. Exotic plant species could also benefit from these treatments, so monitoring crews are on the lookout for unwanted responses as well. Species already present in the watershed and capable of transforming the system in undesirable ways include Himalaya blackberry, Dalmatian toadflax, Scotch broom, and cheatgrass. This project strives to minimize their impact by increasing the resilience of the native understory, and by targeted removal of these particularly nasty pests. 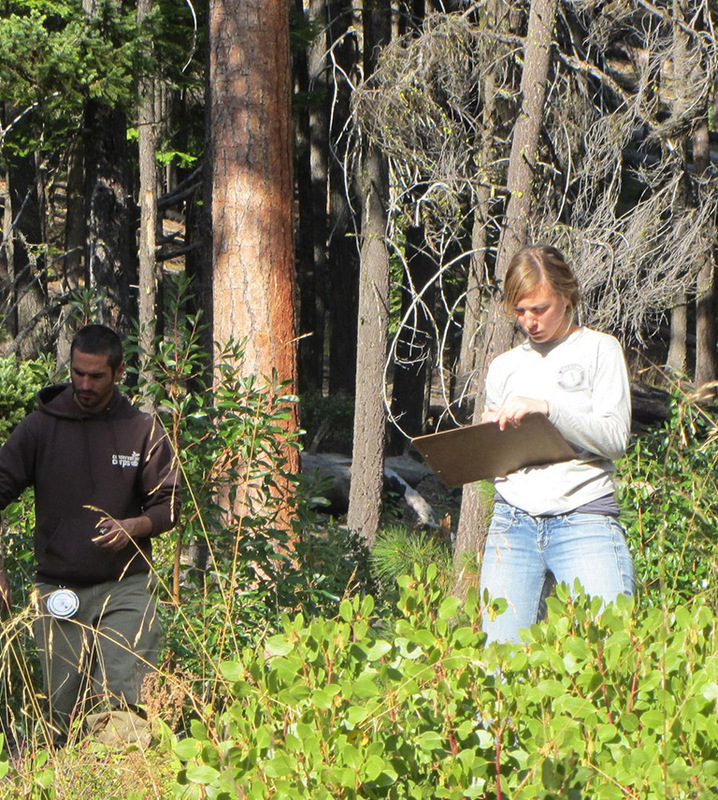 Staff from The Nature Conservancy surveyed understory vegetation on 180 permanent plots in 2010. They found 168 native and 22 exotic plant species. All of those plots will be reevaluated in 2015 to monitor how well treatments restore a diverse understory community.